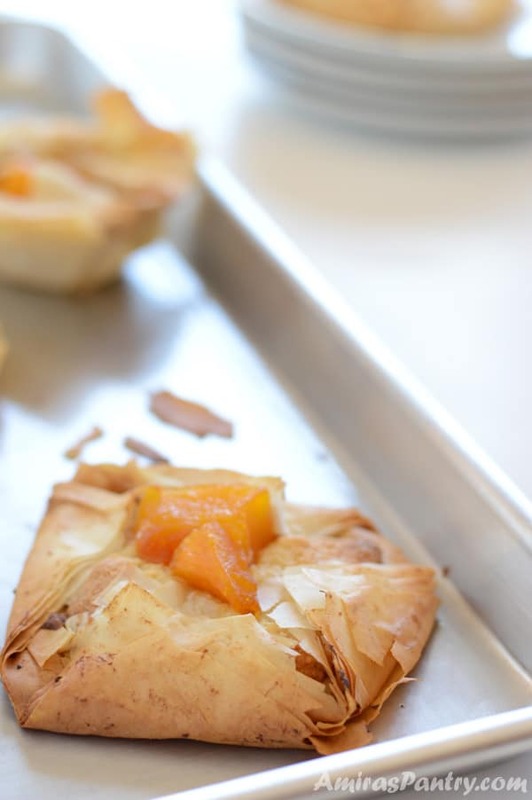 An easy egg-less frangipane tart recipe, made with crispy sheets of phyllo dough surrounding sweet and nutty pumpkin almond filling, finished with a crown of sweetened pumpkin. 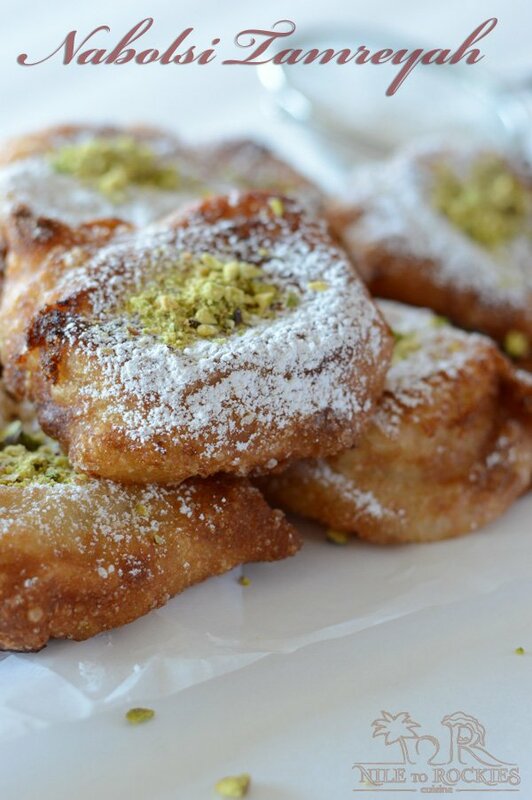 Try this festive almond paste Tunisian dessert. 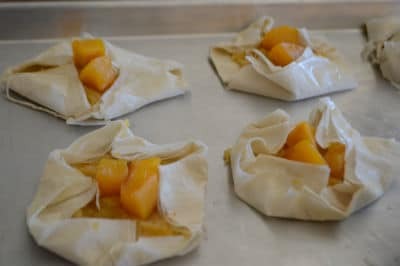 Pumpkin recipes are always a hit around this time if the year, if you get bores easily from same ol’ same ol’ pumpkin pie, try your hands in these tasty tarts. Celebrate the season in style and stand out :). These pumpkin frangipane tarts has been a roaring success in my house, very light with a crunch factor that everyone appreciated. 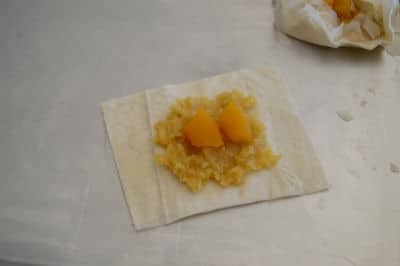 I’ve never played with frangipane before and long wanted to try making almond paste as it is very popular in the Middle East, specially in Tunisian, Algerian and Moroccan cuisines. 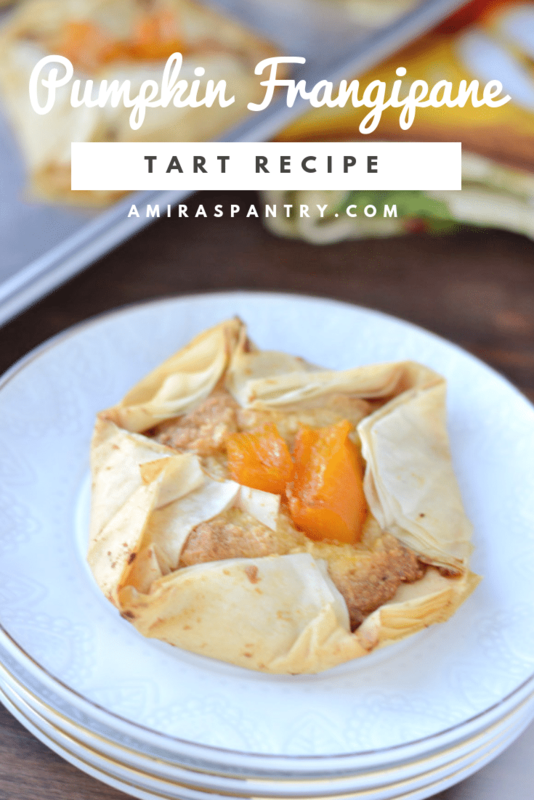 I’ve made Tunisian Kaaber before and find it very easy and delicious. 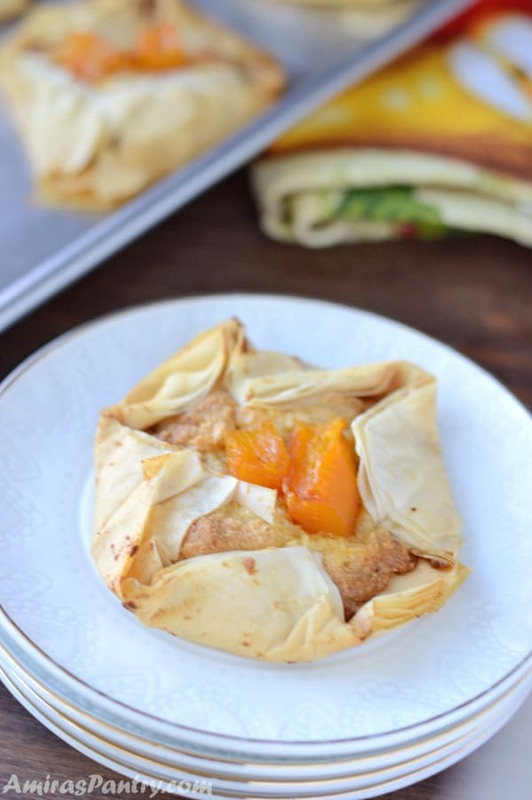 This recipe is no difference, it is easy to make with a very beautiful and appealing result. I resisted the urge to drizzle the end product with some simple syrup- a traditional way to finish almost all Middle Eastern desserts- but I figured out that it has enough sugar and does not need more. 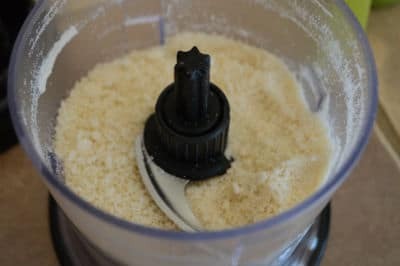 I am falling hard and fast for this almond paste, it is crunchy and not creamy as the almond butter, yet sweet and nutty, I love it and thinking of making so many desserts with it. I’ve to say that this is not your usual frangipane, yet this frangipane paste is considered vegetarian frangipane. Because I did not add egg to the almonds, instead I used cooked pumpkin as a binding ingredient. If you do not consume butter, you can freely use vegan butter instead of the usual butter in the filling. Frangipane is almond filling for tarts and desserts usually made by creaming butter and sugar with eggs then adding ground almond. It is very rich and velvety filling. Is Frangipane the same as marzipan? Marzipane and Frangipane do get us confused as they sound almost the same. Marzipane is a thick, clay like almond paste that is used like fondant to make sculptures like fruits and animal to decorate cakes. While Frangipane is a spreadable paste used as filling for cakes and pastries. 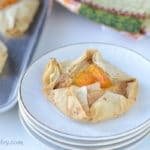 These phyllo tarts can be made, baked, cooled and frozen for up to 1 month. When ready to consume, remove from freezer, loosely cover the tart with foil and reheat for 10-15 minutes on a baking sheet in a 350F oven. Let’s rekindle your good old pumpkin puree can, or if you have some leftover pumpkin puree, give it a new life with this super delicious eggless frangipane tart recipe. 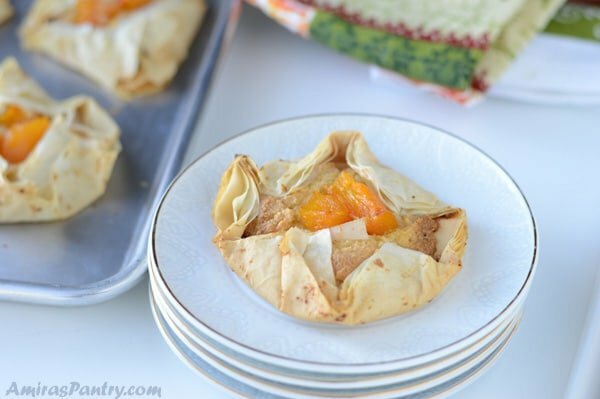 Crispy sheets of phyllo dough surrounding sweet and nutty pumpkin almond filling, finished with a crown of sweetened pumpkin. 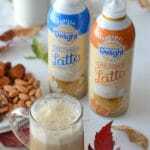 A delicious and easy treat to celebrate Fall. 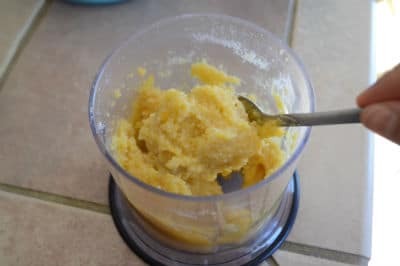 2 cups of uncooked pumpkin diced. 1/4 cup of melted unsalted butter for brushing or you can use a spray. 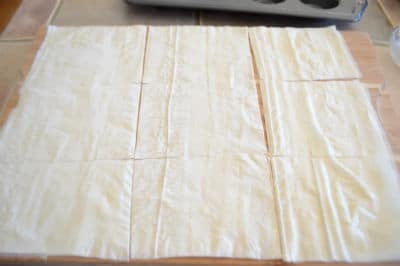 6-8 sheets frozen phyllo dough 14 x 9-inch, thawed. 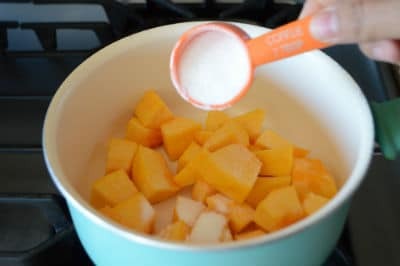 On a sauce pan over medium heat, place the pumpkins, sugar and water, stirring together. 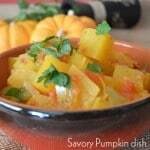 When it boils, reduce heat and keep simmering until the pumpkin is soft and tender. 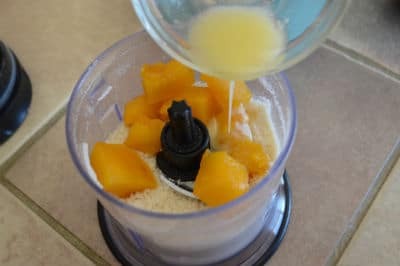 In a food processor, add almonds,sugar and pulse until very finely ground. .
Add about 3/4 cup of the cooked pumpkins and the melted butter. Process again until you get a paste, feel free to add more pumpkins if you feel you are not there yet. 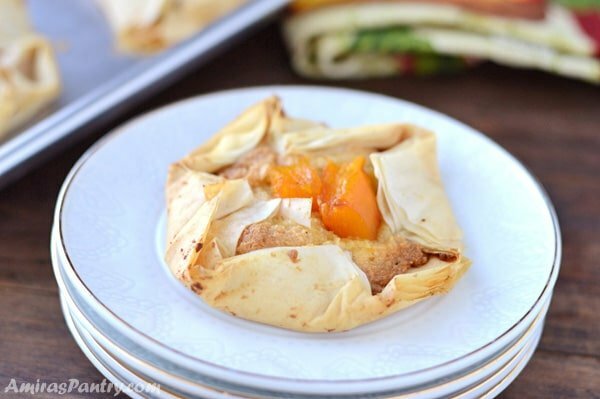 Arrange the phyllo sheets on a cutting board, one at a time, brushing with melted butter in between. Then divide into 9 equal parts. 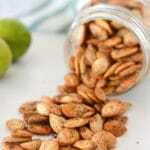 Take one part and spread about 2 tablespoons of the almond mixture, top with some cooked pumpkins. Fold edges loosely to create a shell. Bake in the oven for 20-25 minutes or until crispy and golden. Nutritional facts for diced raw pumpkin here. I am a huge fan of frangipane and marzipan. 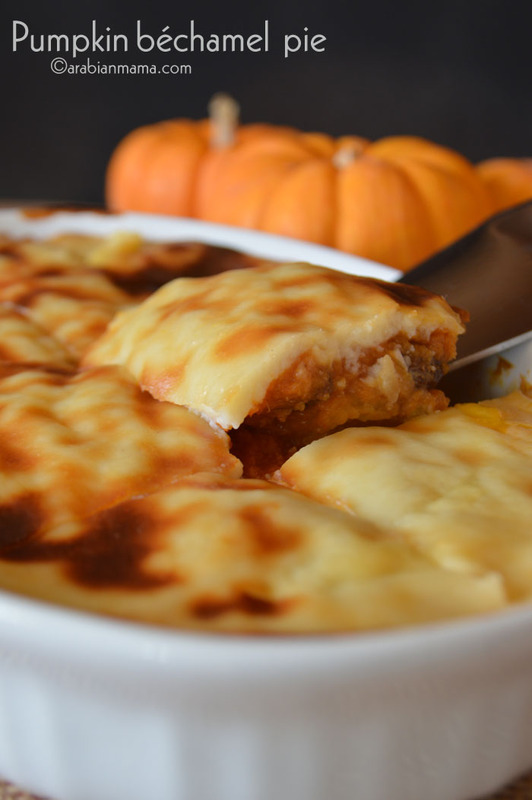 this is a nice twist on it with pumpkin. They are so pretty. It is so delicious, I did not expect it to be that good. This was my first but sure enough not the last :). Thanks Eve. 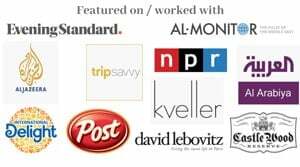 Love your new name and branding. Looking good! However, what really caught my eye was super delicious and easy pumpkin Frangipane. So light and delicious. The new look — and name! — looks great. Congrats on that. Congrats on this terrific looking recipe, too. Nice way to use pumpkin — bet this is loaded with flavor. Thanks! It looks quite easy indeed Amira. I would love to try those – mostly because I love Pumkin. And it’s perfect for the fall season. Looking forwards new style and features. Sendinf you love from France.